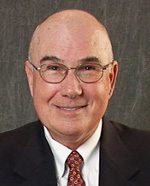 Dr. Joseph S Errera D.D.S. We have all seen smiles that you know have dental crowns in the front. You look at them and say to yourself that something is not natural. Many times, it is the dark rim of gum tissue that gives it away. The dark rim of gum tissue does not occur around natural teeth, only around teeth that have been covered with dental crowns. What Causes the Dark Line on My Gums? The dark line is associated with an old porcelain dental crown. This style of dental crown is referred to as porcelain fused-to-metal dental crowns because it uses tooth-colored porcelain on the outside and it uses metal under the porcelain for strength. The dark line originates from the edge of the dental crowns where the porcelain and the metal meet at a knife-edge at the gum line. At the knife-edge, a very thin amount of the metal always shows. One of the illusionary techniques cosmetic dentists have used was to hide the thin dark line under the gum line. Over time, the gum tissue would recede and expose the dark line. In some patients the dark line would show through the gum and make it appear dark as well. How Do You Get Rid of It? 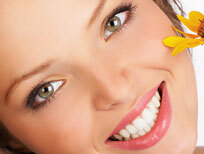 The only way to eliminate the esthetic problem is to replace the dental crowns. When replacing just one single dental crown in the front, you should expect that it might take more than one try-in of the new dental crown before it is permanently cemented into place. Because your central incisors are the most prominent teeth in the mouth, matching them is the most difficult esthetic challenge. Only the best dental technicians are able to mimic one central incisor tooth next to another. What Are Some of the Replacement Dental Crowns Like? Some of the clever ways dentists and dental technicians have been able to mimic natural teeth is through the new advancements in dental materials. New all-tooth-colored ceramic dental crowns are the latest technological advancement cosmetic dentists have to recreate natural teeth. In comparison to porcelain fused-to-metal dental crowns, all-ceramic dental crowns do not contain any metal, thus no dark line can appear. Dental crowns often need to be replaced after several years of service for esthetic or functional reasons. With the growing esthetic awareness of patients and the available ceramic technology, this type of re-treatment is becoming more common in the dental office.